Christians who long to experience God in a fresh, deep way will treasure this powerful, personal praise guide. Every day for just one month, a Scripture-based devotional cultivates the “heart habit” of praise and worship. Readers will be gently inspired to appreciate and adore the Lord in all things-yes, even in the midst of pain, disappointment, and heartache. A deeper intimacy with God-and a greater love for Him-is the sure result. God's Word is a big book, and without a plan it can be easy to give up before you even get through Genesis. Whatever your style, we provide 5 unique plans to help you read through the Bible in a year. 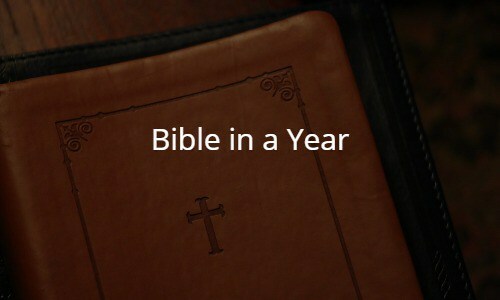 Bible in a Year – Read Through the Bible in a Year! Few books ever attain such a widespread recognition and perennial appeal as Streams in the Desert. Written from Mrs. Cowman’s rich experiences with life, from its dry wastelands to its well-watered gardens, Streams in the Desert is a legacy of faith and wisdom that is time-tested faithfully to the One who alone can slake their spiritual thirst. 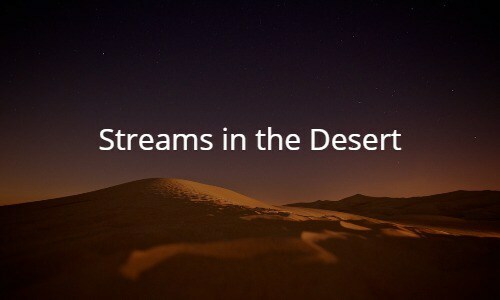 In the midst of today’s fast-paced world, the wisdom of Streams in the Desert remains refreshing, relevant and trustworthy. Turn to it daily, tune out the clamor of living, and let these prayerful writings inspire fresh hope, confidence, and a deep awareness of God’s love for us. This devotional has a morning and evening meditation for every day of the year. Although these devotions are short in length, they are filled with spiritual goodness. In just a few sentences, Spurgeon is able to convey the wisdom of Scripture with eloquence and purpose. These daily messages provide Christians with the spiritual energy they need to begin and end each day. This powerful devotional provides Christians with the spiritual nourishment required to strengthen their relationships with God. Readers will find themselves inspired by Morning and Evening. Our Daily Bread is a devotional calendar-style booklet published by Our Daily Bread Ministries The booklet is one of the most widely read Christian devotionals in circulation today. and includes writing about the Bible and insights into Christian living. The booklet’s title originates from a line of the Lord’s Prayer. The contents include a Bible passage, and a relevant article for each day of the year. It is written by a different author each day, and also features additional bible passages for people following Our Daily Bread’s “Bible In One Year” reading program. Where can readers turn to deepen their love and understanding of God? In the classic devotional My Utmost for His Highest, author Oswald Chambers offers inspiring thoughts that have encouraged millions of readers for many years. Readers can gain a fresh perspective on how to grow in faith as they discover more about God and their relationship to Him.